Friends of Kids with Cancer | Gapsch CARSTAR refurbishes 2 totaled cars for 2 families from FOKWC! Gapsch CARSTAR refurbishes 2 totaled cars for 2 families from FOKWC! Our amazing Friends at Gapsch CARSTAR have outdone themselves AGAIN in 2014! The AMAZING employees and staff at Gapsch worked tirelessly to refurbish 2 totaled cars. On Monday, December 15, 2014, Gapsch presented these once-totaled cars to 2 families from Friends of Kids with Cancer! These families were in great need of help in transporting their child to and from the hospital for treatment, appointments, etc. Staff from Mercy Hospital, St. Louis Children's Hospital and Cardinal Glennon Medical Center in St. Louis compiled a list of families and then the 2 families were chosen at random. Both families have already been through a great deal of treatment with many years to go. One family has a 1.5 hour commute to-and-from the hospital for treatments. Gapsch hosted the celebration on Monday, December 15. They wrapped the 2 cars in wrapping paper, leaving the families' imaginations hungry! After presenting all members of both families with additional toys/gifts/gift cards, the unveiling began. The families anxiously began tearing off the wrapping paper to lay eyes on their new cars! The amount of smiles, tears and excitement was incredible! One recipient's mother just kept saying, "I'm overwhelmed, completely overwhelmed! I'm absolutely blown away!" Friends of Kids with Cancer is absolutely blown away by the tremendous amount of support and love Gapsch CARSTAR has given our families and our organization! The car presentation was a HUGE success! If refurbishing/donating 2 cars wasn't enough, Gapsch started a GoFundMe fundraising campaign in order to try and reach their goal of raising enough money to provide the families with gas, oil changes, and hopefully a year's worth of insurance. To see the campaign's results, please click HERE. This heart-warming event caught the attention of St. Louis media outlets! Fox 2 and NewsChannel 5 both aired stories on Monday night! Check out Fox 2's story HERE. 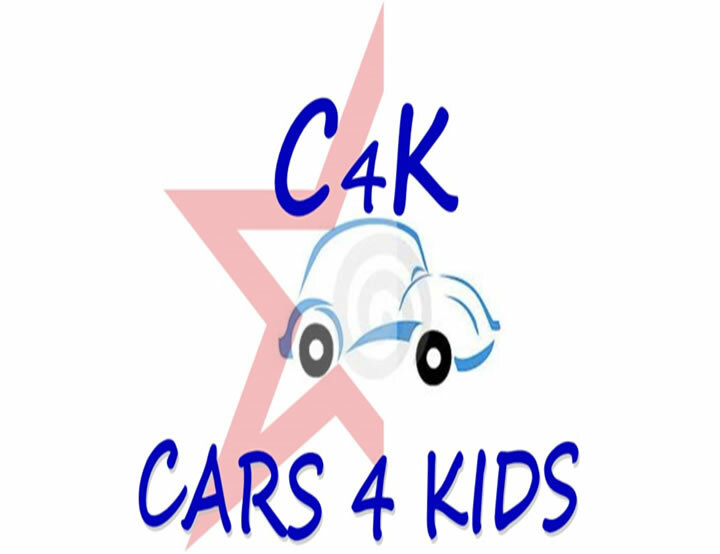 This is the 7th annual Cars4Kids event by Gapsch CARSTAR. Friends of Kids with Cancer is honored to have worked with Gapsch in both 2013 and 2014. We're so happy to work together to help some very-deserving families! Check out some photos below AND on Facebook!